There is no dressing the in this salad but the collective juices of the fruits and the partially bruised Radish greens makes such a beautiful medley that you crave for more. 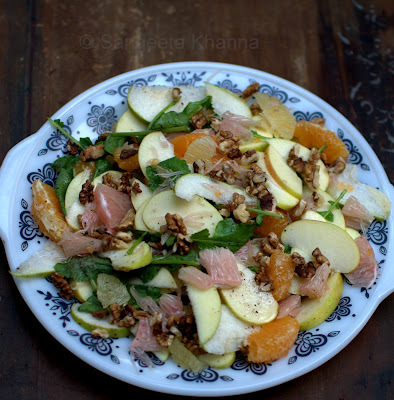 The time required to make this salad is just the peeling the cutting neat slices of the citrus fruits. I used oranges, sweet lime and grapefruit. And that actually makes this salad my garden salad as the tender radish greens and the Grapefruit both are from my garden. Chop everything up the way you like, I prefer bite sized slices. And toss up with salt and pepper. Nothing else required. The juices of all the three citrus fruits and the apples and pears actually make the radish leaves milder in flavor. 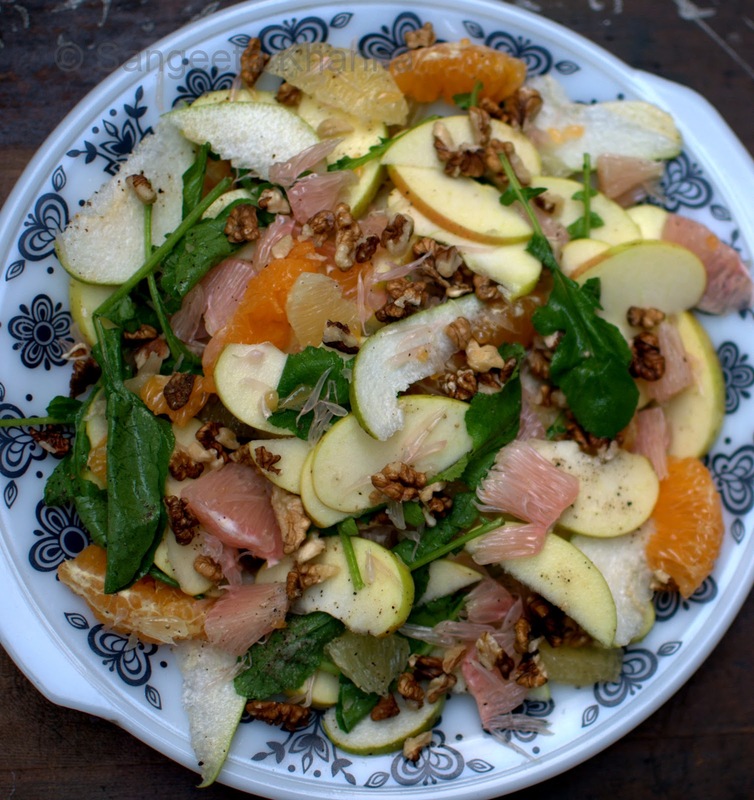 Do not forget to add walnuts to the salad. 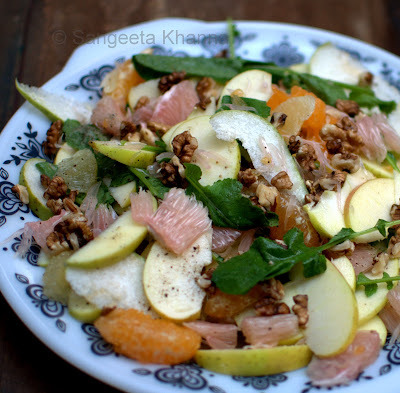 The much needed crunch and the fact the radish combines really well with walnuts makes them inevitable in this salad. You can use thin slices of radish also. Especially the red cherry belle radishes would be really nice. You wont realise you can eat a whole plateful of salad this way. A very fresh and delicious autumn salad.